We are very pleased to say that we are receiving a steady flow of grant payments from the Welsh Government and that we are now in a good financial position. Paperwork for the grant claims is now being completed at the time of connection and this has proved to be very successful. 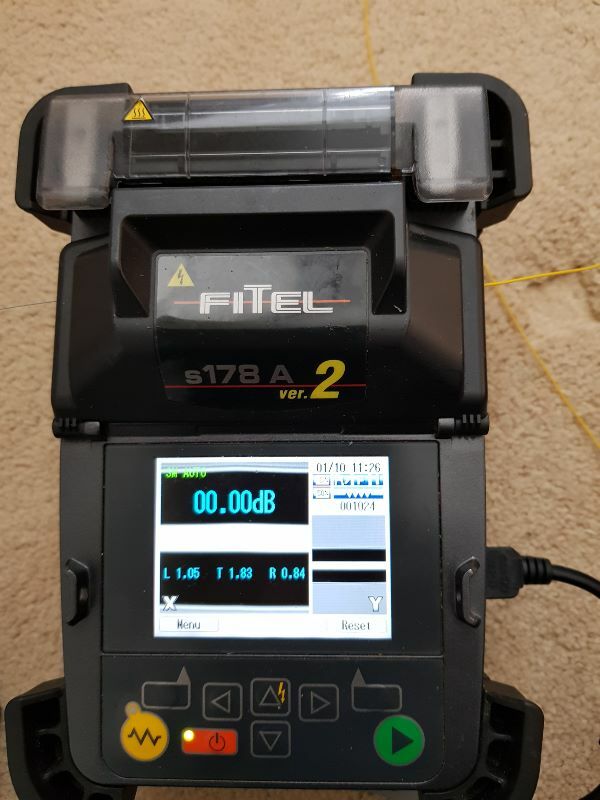 Unfortunately there are still a small number of outstanding incomplete speed tests and paperwork to be returned to The Welsh Government from customers who received their connection in July / August prior to our changes in the connection process. If you are one of these customers, please complete the paperwork as requested or contact us for assistance. I am both pleased and proud to announce that all the major trenching is complete thanks to Chris and Dave Walford. They completed it just in time for Roger to plant his crops. A fantastic job, well done guys, we couldn’t have achieved so much in such a short space of time without your hard work and continual effort to see this through to the end. 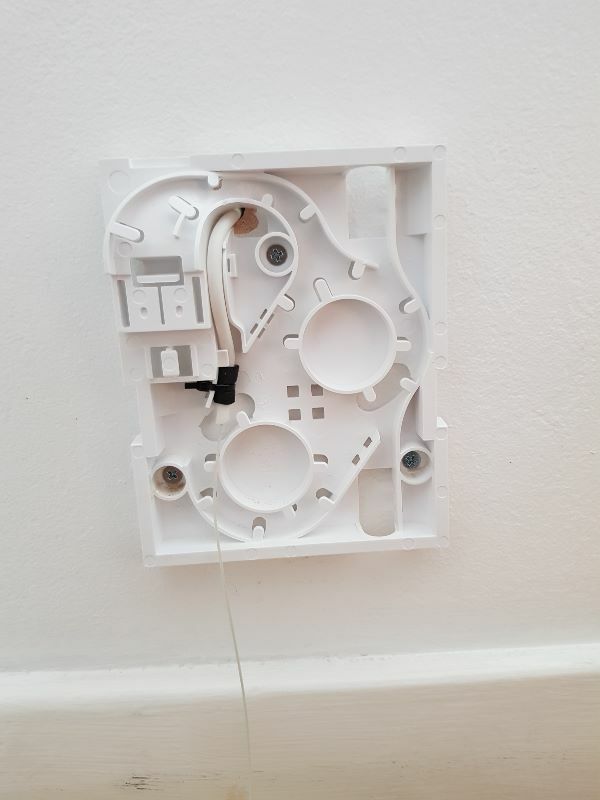 Glyn and Jim are still whizzing around the village installing FTU’s (Fibre Termination Units) into properties once they have the ducting across their gardens and up to the boundary of their houses. Their running total is 129. Well over half and on the home run ~ a total of 197 to be completed. Both are very grateful and appreciative of all the tea, coffee, cake and biscuits generously offered by you lovely people. Especially as they don’t always get time to stop for lunch or a drink. Well done boys, it is a step closer for the next phase of pig tailing and installation of the router. Mark Graveston and I worked together on the Splice Panel at Clearwell Farm. This meant working with Armoured Cable which is a whole different kettle of fish to deal with. It involves having to cut the outer shell with pipe cutters and very carefully remove the inner tubing to reveal the fibres inside. We worked carefully and steadily to complete the numerous connections and complete the work required on the farm to all the cottages and businesses. 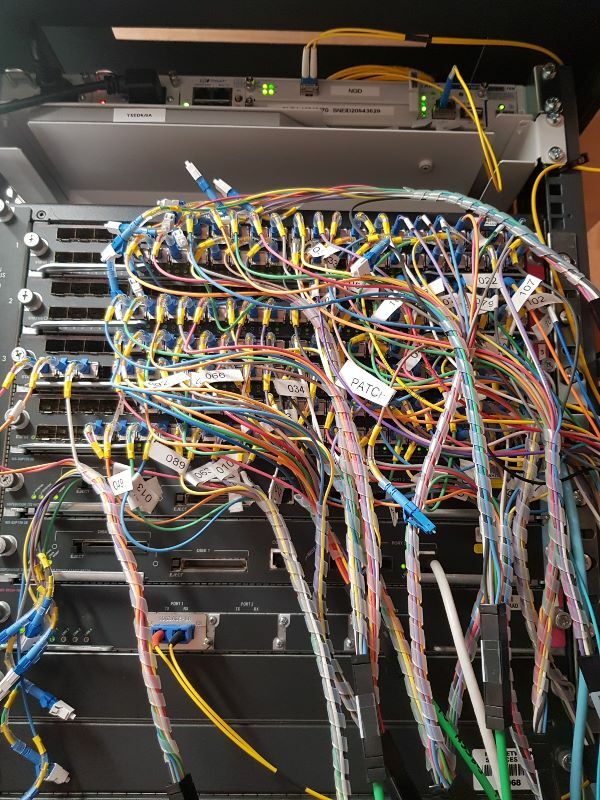 The remaining splices were completed at the various chambers and splice bullets and patched in at the Hub and all routers were then installed making their connections live. 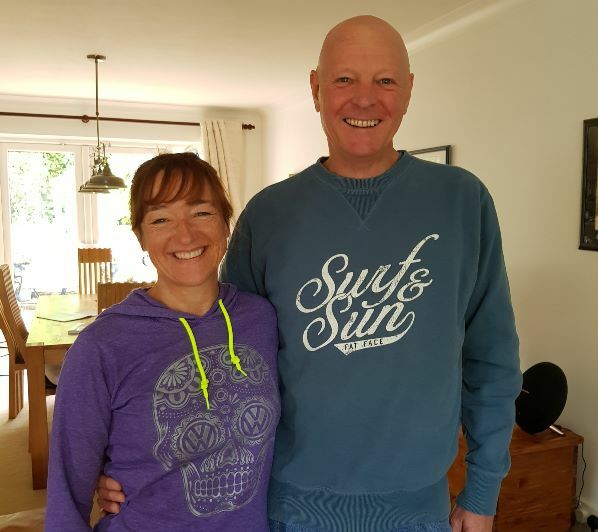 Excitement was the order of the day on Monday 1st October 2018 as I connected Andy and Rhian at Chapel Cottage marking our 100th connection. Coincidentally we had a journalist with us from PC Pro who was interviewing us and taking photographs throughout the morning and he captured the moment too. The last two weeks have been super busy, and I have now completed a total of 112 live connections! It is an amazing feeling that I am over the half way mark too, and it is now a race to get the remaining connections completed before the onset of winter. I am hoping for lots of warm sunny days to facilitate the splicing that is still required in the chambers and splice bullets. There are just 3 major fibres to be blown from Holly House Lane to Croscoeinon, from Holly House Lane to The Hollies and from Pentreporth Chamber to Haygrove. This of course will be followed by the easier task of blowing twin fibres to the properties. I can’t believe that we are at a point where we have a diminishing list of tasks to do. 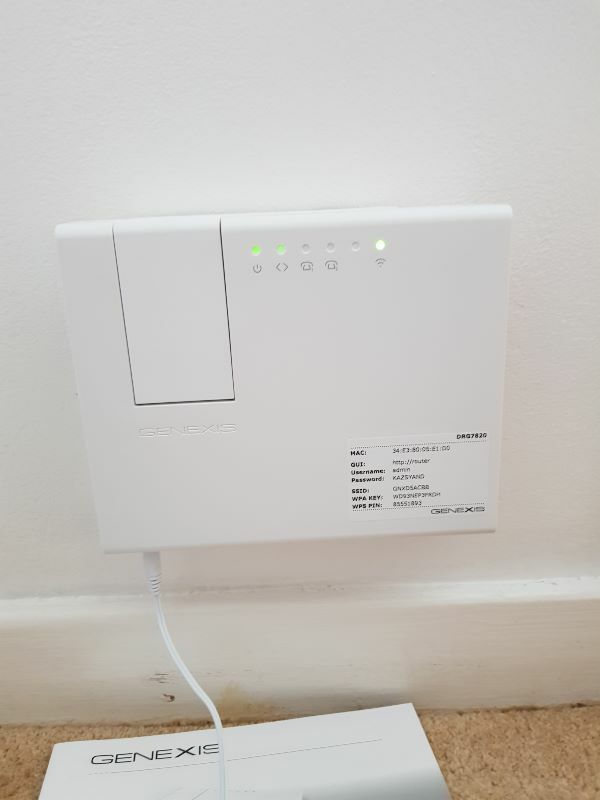 Hopefully we will get the remaining connections completed well before Christmas ! Now that the major trenching and duct laying is completed we have less of a requirement for volunteers. However, we are not finished yet and would like to think that we can call on volunteers as and when we need them. There are one or two challenging situations still left to overcome. Work has progressed better than we expected at Cefn Mably Park and whilst we still have apartments in the house to connect, this is one of those challenging installations we have still to overcome, along with two houses where we have a problem getting the ducting to them through the existing chambers and duct system. But with concentrated effort and some alternative methods we will succeed. There are just 8 other properties where we are awaiting the go ahead from Welsh Government so we can complete their connections. A great event and a very successful day. A good number of you came specifically to get information about Vonage, a VoIP system and a demonstration of a Tenda Nova Mesh network system, which has already been implemented by a number of residents, with great success. Huge thanks to Brin and Lilian Richards for arranging a successful event that had people queueing for information. Thank you also to Lilian and Niki for the lovely rock cakes and welsh cakes that went down very nicely with tea and coffee. We estimate that round 60 people came to this event and all went away with information that they found useful and are able to implement for themselves. Now that we have a large number of connections, it is probably a good time to inform everyone about what to do if your internet goes down, or you lose your connection. This information is available on the Terms and Conditions on the website www.myfi.wales, however, it may be a good idea to print off and make available should you ever need to use it. To help keep your computer healthy, you should install Anti-Virus software. You should also ensure that the software is kept up to date regularly with the latest updates. If you haven’t already done so, it would be an excellent idea to organise some Anti-Virus software on your PC / laptop / Phone / Tablets etc. There are several basic software packages that are free of charge e.g. AVG which will give you basic protection, and for a reasonable cost you can get the full package that will cover all your devices. Should you get a virus that impacts our systems then we may have to temporarily reduce your bandwidth so as not to reduce the service level to other customers. If this situation arises we will contact you immediately and work with you to solve the problem. There have no significant changes to the Hub IT, everything is running very smoothly. 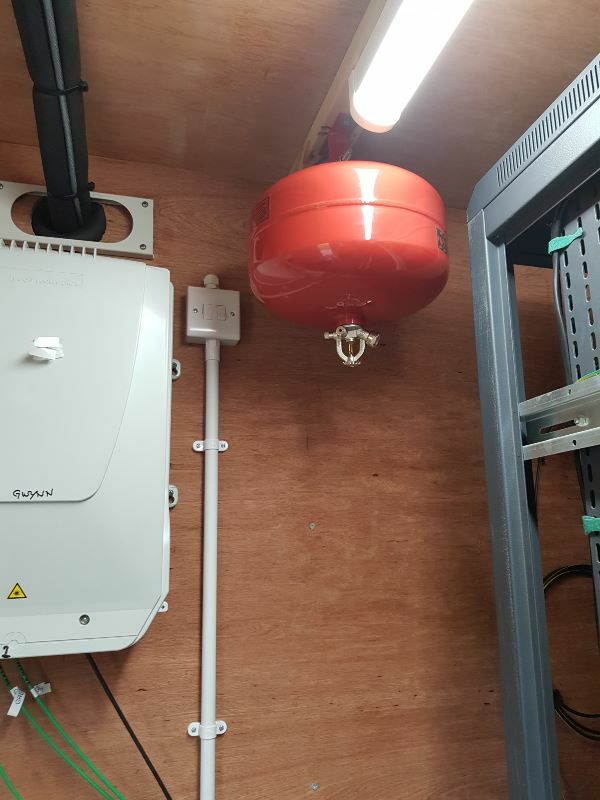 We have had a new addition in the Hub and that is a ceiling mounted fire extinguisher specifically for dealing with electrical equipment. In the event of a fire the extinguisher will do its job without causing damage to our equipment. Earlier in the year I told you all about the issue of a couple leaks in the roof of the Hub and the repairs that we had to carry out. 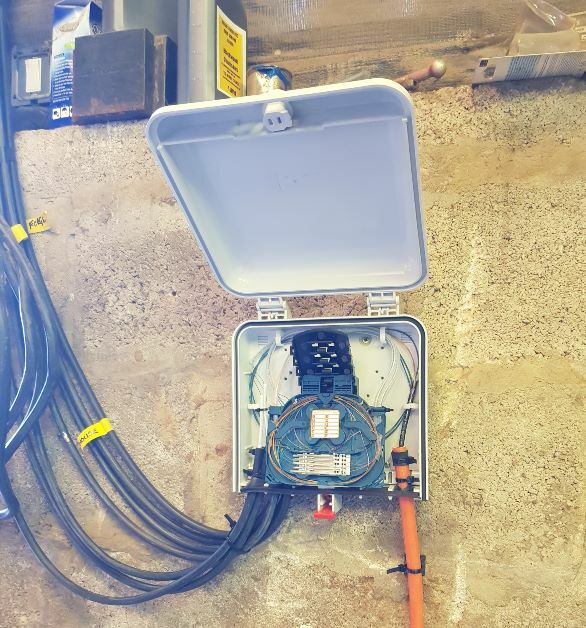 We are now able to carry out a more permanent fix and ensure that we do not run the risk of any leaks that would cause damage to the equipment contained in the Hub. Jim Dunk will lead a small team to secure a leakproof roof over the Hub. He will need some help from anyone who has welding skills and any experience with roofing. Please contact Jim on jim.dunk@myfi.wales for further information. St Michaels Church are looking forward to welcoming us to the Harvest thanksgiving, a simple community service in the Church at 11.15am on Sunday 7th October. I am getting a steady flow of Customer Feedback Forms being returned to me and am in the process of adding Customer comments on the website. 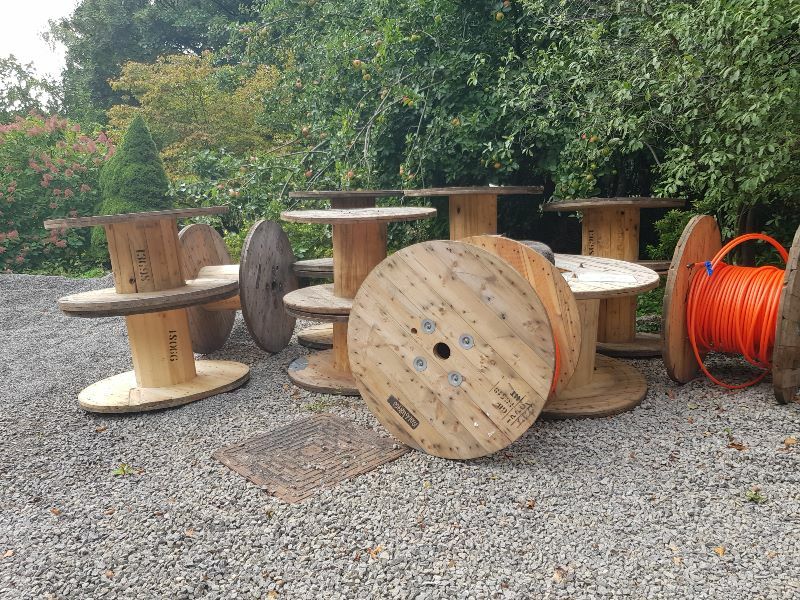 We now have a growing number of cable drums that are available to anyone who wants them. They have a variety of uses particularly in the garden as a table and can be adapted in any number of ways. If you would like one or more cable drums please contact carina.dunk@myfi.wales and I will organise this for you. If there is no take up on these cable drums we will allow them to be collected for recycling and reuse. Cable drums available ~ without the ducting naturally ! The date of the next meeting is Thursday 25th October 2018 at 7.30 P.M. PLEASE NOTE: The next meeting is in 3 weeks’ time rather than the usual 2. As work and activities complete there is less of a need to the need to catch up on a fortnightly basis.